N Srinivasan, the man of the moment, opens up on his journey with India Cements and subsequent plunge into cricket administration. MS Dhoni with a light-hearted jibe at Ambati Rayudu: "We've always valued Fair Play Trophy but I was worried about Rayudu last year (2018 IPL). Whenever the umpire doesn't give a no ball or wide, he raises his hands sideways." Defying the Paradigm - MS Dhoni received the first copy from Tamil Nadu Chief Minister Mr Edappadi K Palaniswami. Tamil Nadu Chief Minister Mr Edappadi K Palaniswami addresses the gathering. Tamil Nadu Chief Minister Mr Edappadi K Palaniswami launches the first copy of the India Cements Coffee Table Book. MS Dhoni receives the first copy. Rahul Dravid, Kapil Dev, Gundappa Viswanath and Chandu Borde all receive copies of the book. Dhoni affirms, "It has been a learning curve for me. It's a pleasure to be here and address all of you. Thanks a lot." The former Indian captain goes back to his seat next to the man of the moment himself - N Srinivasan. MS Dhoni: I would talk more about my interaction with N Srinivasan. 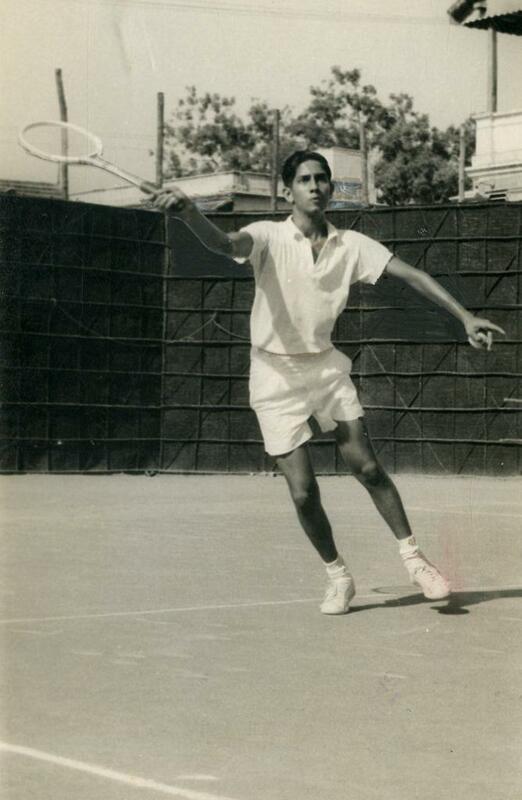 He started with lawn tennis. He loves to play golf. I got to learn a lot out of him. The interactions were friendly. Whenever CSK was going through a rough phase, I used to interact a lot (with him). Rahul Dravid: Mr N Srinivasan would come to watch us play league matches (in Chennai). He would join our discussion at the end of day's play. His knowledge about individuals of the teams (was exemplary). He would know the scores of other teams and how that would affect us in the table. Kapil Dev alludes to the paradigm shift in the salaries of Indian cricketers when compared to players from Australia and England. The World Cup-winning captain regrets not having N Srinivasan as an administrator when he was at the peak of his powers. Kapil compares N Srinivasan with the late Jagmohan Dalmiya and exudes high praise on the former BCCI President for changing the face of cricket administration in India. Sunil Gavaskar begins his felicitation speech! The iconic opener thanks N Srinivasan for disbursing benefit schemes to former cricketers during his capacity as BCCI President. 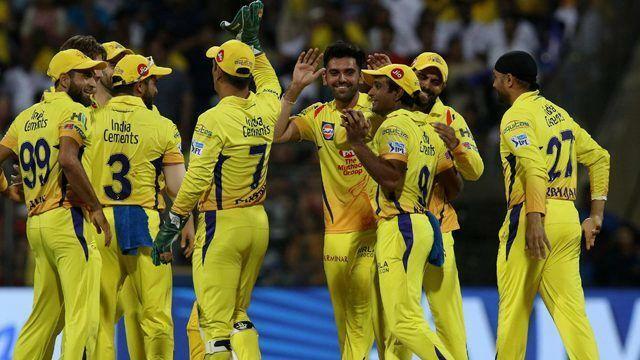 The audio-visual clip reminisces the memorable journey of Chennai Super Kings into becoming one of the most popular sporting teams in the globe. An audio-visual clip recounts the history of India Cements and how N Srinivasan managed to overcome obstacles before evolving into a powerful business tycoon. A well-researched welcome gathering delves deep into N Srinivasan's tryst with India Cements and eventual journey into cricket administration. 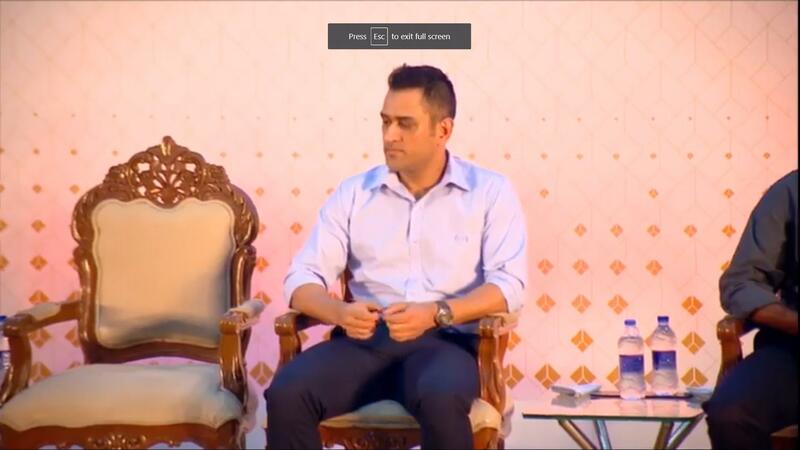 Dhoni and Dravid are having a close conversation on the podium. We are waiting for the arrival of Tamil Nadu Chief Minister Mr Edappadi K Palaniswami. 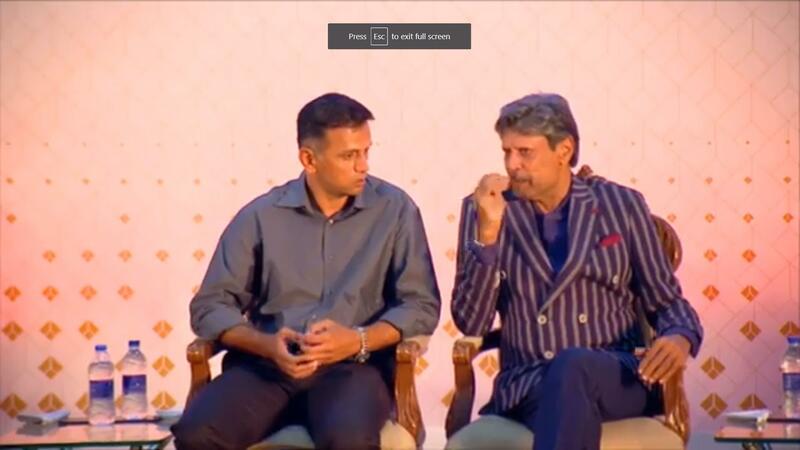 Kapil Dev, Rahul Dravid and MS Dhoni are on the dias! Some of the greatest names in Indian cricket history side by side. Sivaramakrishnan reveals that Sunil Gavaskar is on his way to the event. At the dias, former leg-spinner Laxman Sivaramakrishnan begins the event with a quip on Chennai weather. The popular commentator invites Chandu Borde and Gundappa Viswanath to the podium. TN coach Hrishikesh Kanitkar is also present for the book launch alongside all-rounder Vijay Shankar and left-arm spinner Rahil Shah. Several members from the 2019 Chennai Super Kings squad are having a ball at the Kalaivanar Arangam. Our Man from Chennai reckons that this is a reunion of sorts for stars of the Indian team of the 90s. The likes of Ramesh, Robin, Jadeja, Kumble, Srinath, Prasad are all in. India's highest wicket-taker is in the house! 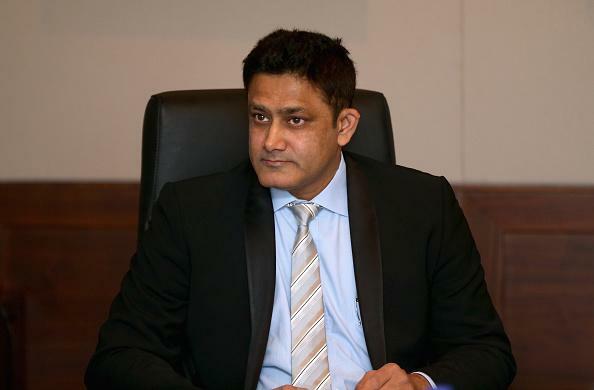 Anil Kumble is joined by former bowling partners Javagal Srinath and Venkatesh Prasad. Notable players from the 90s Indian team - Sadagoppan Ramesh and Robin Singh - have also made their way to the Kalaivanar Arangam. Former Tamil Nadu stalwarts VB Chandrasekar and TA Sekhar are also in. #CoffeeTableBookLaunch @LaxmanSivarama1 in all readiness alongside the podium. Chennai Super Kings are in the arena! Shardul Thakur, Deepak Chahar, Karn Sharma, Ambati Rayudu, Mohit Sharma and Narayan Jagadeesan have entered the venue. The hero of India's World Cup triumphs in 2007 and 2011 - Gautam Gambhir - enters the venue. Stylish batsman Gundappa Viswanath and iconic wicket-keeper Syed Kirmani, two of India's stars in the 1970s and 1980s, are also at the Kalaivanar Arangam. This is shaping to be one grand event to remember. Yuvraj Singh is in the house! Numerous Indian cricket stars have descended to the venue for the book launch. Plenty more arriving as well. We are close to the start of the eagerly awaited event. Our man from Chennai updates that there will be an epic panel discussion featuring former Indian captains such as Kapil Dev, Anil Kumble, Rahul Dravid and MS Dhoni. The stage is set for what promises to be an informative and interesting discussion between the legendary skippers. A galaxy of cricketers including legendary captains of India from Chandu Borde to M S Dhoni including Sunil Gavaskar, Kapil Dev, G R Vishwanath, Dilip Vengsarkar, K Srikkanth, Anil Kumble & Rahul Dravid will be attending the function.In addition, VVS Laxman, Gautam Gambhir, Yuvraj Singh, Yashpal Sharma, Ajay Jadeja, Syed Kirmani, Javgal Srinath, Sehwag, Brijesh Patel & Dinesh Karthik will be present along with the past and present Tamil Nadu Cricketers going as far back as 60s P K Belliappa & K R Rajagopal.V B Chandrasekar, L Balaji, S Badrinath, Hemang Badani and the entire current Tamil Nadu Ranji Trophy team are among others who will be present on this occasion. The CSK players Ambati Rayudu, Harbhajan Singh & present CSK Players will also be present. A coffee table book on the journey of The India Cements Ltd and 50 years of proud association of Vice-Chairman & MD, N Srinivasan is to be released on 28th December 2018 by the Hon’ble Chief Minister of Tamil Nadu, Thiru Edappadi K Palanisami. The first copy will be given to Mr M S Dhoni. The function will take place at 4.30pm at Kalaivanar Arangam.